The rise from 1.4650 peaked at 1.4817 and a massive sell-off followed, reaching a temporary low at 1.4703. The overall bias remains positive with a crucial level at 1.4650, so we will expect an uptrend to emerge from current levels, towards 1.4842, en route to 1.4967. Intraday bias is still negative with a resistance around 1.4756 and crucial level at 1.4779. As expected, the pair initiated a rise towards 89.13 and probably after one more test in the 89.40 area a change in the direction is to be expected, for the last leg downwards, to 87.12. 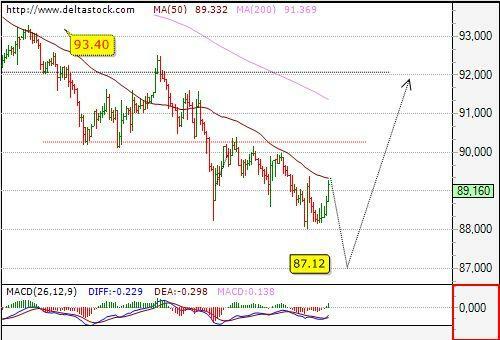 The overall bias remains negative with a crucial resistance at 90.40. 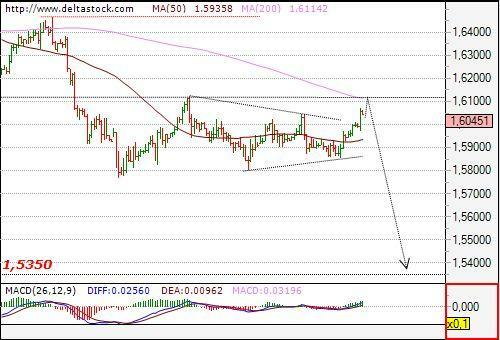 Recent test of the 1.6130 resistance failed and the pair is in a minor downtrend for 1.5970. 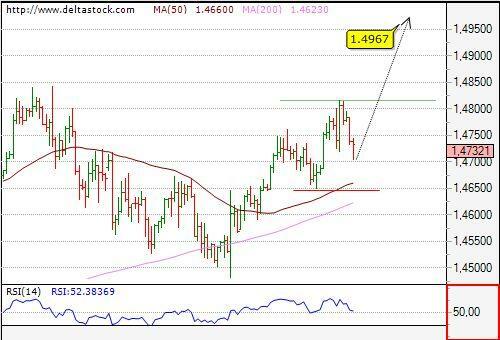 Break below that level will target 1.5855, which is the trigger point for a massive sell-off towards 1.5352. Nearest resistance comes at 1.6061.